Fabulous singer, I think his name is recognized by everyone even if they're not rock lovers. 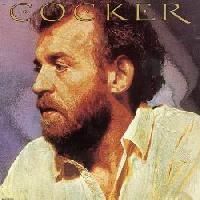 He was born John Robert Cocker in Sheffield on May 20th, 1944. VANCE ARNOLD & THE AVENGERS #? The band was a very talented blues band. They were playing blues classics from Muddy Waters, Howlin´ Wolf, etc. long before these legends became household names. The band passed an audition with Decca and recorded several songs but they were never released. 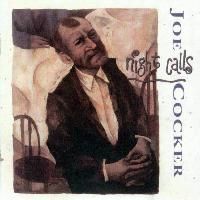 Next move for Cocker was to release a solo single with his real name, ´I´ll cry instead / Precious words´ in October 1964. As the band was gaining fame, they toured France and appeared on TV. But Cocker decided retiring (!!!) in 1965. Fortunately, this was to be only a brief stop in his career. 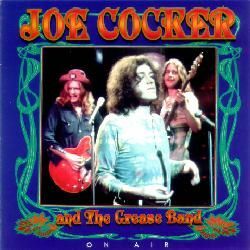 After a gig, Joe changed the band name to Joe Cocker & The Grease Band. So this was the real original lineup, contrary to what has been written in many books and articles. This was to be the line up which heralded a whole new, somewhat jazzier flavored Joe Cocker featuring songs from Lou Rawls as well as the grittier R&B he was well known for - the band opened the shows with ´Satin Doll´! They worked in and around Sheffield for several months becoming more and more popular until John Pearson left the band to move to London. Still based in Sheffield, they played their first gig in London at the Speakeasy. The band recorded some demos in 1967 (´Marjorine´, for example), that were heard by producer Denny Cordell who secured Joe a record deal. A single was recorded, ´Marjorine / The new age of the lily´, released in April 1968, but it was recorded by Cocker and Stainton with famed sessionmen such as Albert Lee (guitar), Jimmy Page (guitar) and Clem Cattini (drums). The other band members weren´t used in the recording. Next step asked by management was a move to London, and a new lineup was formed, with Tommy Eyre. This was the band that played in Woodstock in August, where they really hit the stage with a shocking performance. Joe and Chris met Leon Russell in 1969. Leon made a big impression on Joe, and some months later, in February 1970, Joe dissolved The Grease Band, teaming with Leon Russell in a new, almost-crazy project, Mad Dogs & Englishmen. 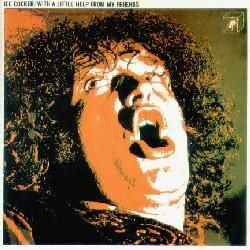 Before that, they still released a new album, simply called Joe Cocker!, with help from Leon Russell (guitar, keyboards, vocals), Clarence White (guitar), Sneaky Pete Kleinow (steel guitar), Bonnie Bramlett (vocals), Merry Clayton (vocals), Shirley Matthews (vocals), Rita Coolidge (vocals), Patrice Holloway (vocals), Milt Holland (percussion), Paul Humphrey (drums). And then, Chris Stainton left Joe Cocker in February 1973 to concentrate on studio work. Then, Joe released two studio albums produced by mate Jim Price: I can stand a little rain (released in August 1974) and Jamaica say you will (released in April 1975). Joe Cocker played a live press show in LA in June 1974, but I´ve never been able to know who were the musicians backing him here. Does anybody know, please? After a period of rehearsals, inside problems soon arose and the band split in August 1974, before the tour started. But Greg Brown was soon replaced. The band split when the tour finished in December 1974. Albert Lee left them in March 1975, after a tour in Australia, to form his own band. + 3 Texan female vocalists, unknown to me. Help! They finished touring in September 1976. 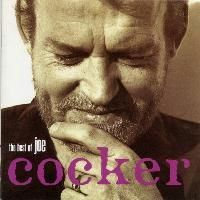 Stuff went their own way, and Joe Cocker teamed with Kokomo for his next tour. Kokomo comprised several ex-members of Cocker´s Grease Band, such as Hubbard and Spenner. In January 1977, Kokomo split and Cocker stopped touring for a long period. Does anybody know if Paddy McHugh was also in this lineup, please? And, from here on, I just include the lineups that I know due to being credited in live concerts, adverts for gigs, tour books, live videos, etc., as I have no better way to collect this info. So any additional information to complete this page would be VERY welcomed. I've been collecting details on Cocker tours for years, but my knowledge is still limited. Can someone help me with more details on the period, please? The shows also featured Fernando Saunders (bass) and Simon Phillips (drums) as part of Jeff Beck Band, as well as assorted guest appearances by other mates such as Ronnie Lane, Ron Wood (guitar), Ian ´Stu´ Stewart (keyboards), Tony Hymas (keyboards) or Jan Hammer (keyboards). + unknown guitarist. Help, please! 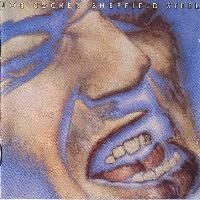 I also have a video of a Joe Cocker concert for the German 'Ohne Filter' TV show, from 1988, and I think Chris was featured there, but I cannot find where I have the tape, to confirm the lineup. I guess Chris Stainton kept on playing with more different incarnations of Joe Cocker Band, but it's extremely difficult finding info about the Joe Cocker Band lineups. Help, please! There´s a live DVD from the Nigh calls tour, but I can´t find the list of players (maybe from 1991 or even 1992. With Cocker, Grande, Stainton, but can´t check the others, as I don´t have it - help with info, please!). 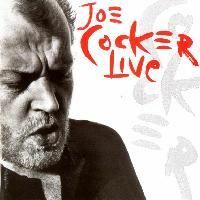 A live DVD was recorded from that gig, The best of Joe Cocker live. This concert was later released on DVD. Cocker also toured promoting the Organic album, but I´m not sure if this was also the band for the whole tour. I can´t find proper info about this particular lineup. The bassist in the 1998 tour was Warren McRae, then I think Federico arrived. But by 2001 the new bassist was Onieda James. Can anybody help me with info, please? They also recorded the DVD Live in Cologne in 2002. One question. Was Nicky Cranston a backing vocalist in this tour too? Maybe replacing Nichelle Tillman? Does anybody know? A live DVD by this band was included as a bonus in the premium edition of the Fire it up album. Mark Alexander, Rick Alfonso, Beth Anderson, Kenny Aronoff, Virginia Ayers, Nicole Barclay, David Beal, Dyan Birch, Gene Black, Chuck Blackwell, Beverly Bloomfield, Sue Bogas, Greg Brown, Jack Bruno, Glenn ´Ross´ Campbell, Stacy Campbell, Mitch Chakour, Kacee Clanton, Frank Collins, Mel Collins, Rita Coolidge, Phil Crookes, Ric Cunningham, Cydney Davis, Andy Denno,... up to 127 musicians. Joe Cocker finally lost his battle against lung cancer on December 22nd, 2014. He died in Crawford, Colorado. What a great loss to music! This page has been written just less than one day after Joe passed away. I've done my best to be as complete as I could, but haven't had time to check all my text, and I still need to add album scans, photos, etc. I'll be adding them along the days. 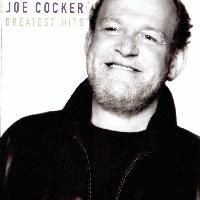 Comments: Joe Cocker has always included great musicians in his albums. In this one, we can find Tim Renwick (guitar), Michael Landau (guitar), Tim Pierce (guitar), Ronnie Johnson (guitar), Dean Parks (guitar), Graham Lyle (guitar), Phil Spalding (bass), Neil Stubenhaus (bass), James 'Hutch' Hutchinson (bass), his long time friend Chris Stainton (keyboards), Steve Piggott (keyboards), Chris Difford & Glenn Tilbrook (from Squeeze), Jamie Talbot (sax), Mark Feltham (harmonica), John Robinson (drums), Geoff Dunn (drums), and the mighty Kenny Aronoff (drums). Backing vocals by Tessa Niles and others. It includes a cover of Bob Marley's ´Could you be loved´. Comments: There was a limited live edition as a CD+DVD with 6 live tracks recorded in 2010. Comments: There was a premium edition with a live DVD recorded in September 2012. The live tracks feature this band: Gene Black (guitar), Oneida James (bass), Nick Milo (keyboards), Euge Groove (keyboards), Jack Bruno (drums), Nicole Tillman (backing vocals), Kara Britz (backing vocals). None of them appear in the original studio album. Comments: DVD recorded live in Dortmund in 1992. Comments: Compilation including one song only released as a single, one live take, plus another live song with Eros Ramazzotti. Comments: 3LP taken live at the famous festival, held in August 1969. 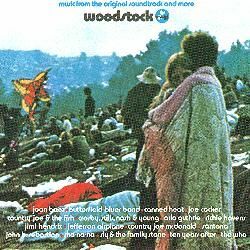 Featuring tracks by: John B Sebastian, Canned Heat, Richie Havens, Country Joe & The Fish, Arlo Guthrie, Sha Na Na, Country Joe McDonald, Joan Baez, Crosby Stills Nash & Young, The Who, Joe Cocker, Santana, Ten Years After, Jefferson Airplane, Sly & The Family Stone, Butterfield Blues Band and Jimi Hendrix. Comments: Tribute album to Elton John and Bernie Taupin, featuring Oleta Adams, The Beach Boys (backed by Jerry Stevenson & Ian Lynn), Jon Bon Jovi, Kate Bush, Eric Clapton, Joe Cocker, Phil Collins, Hall & Oates, Bruce Hornsby, George Michael, Sinead O´Connor, Rod Stewart, Sting, Tina Turner, The Who and Wilson Phillips. 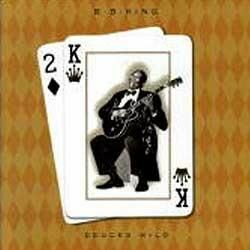 Vickie Anderson, James Brown, Bobby Byrd, Amy Christian, Carol Coleman, Robert Coleman, Joseph Collier, Bootsy Collins, Catfish Collins, Arthur Dickson, Hollie Farris, Kush Griffith, Clayton Gunnells, Lewis Hamlin, Martha High, Darryl Jamison, Tyrone Jefferson, Keith James Jenkins, Roosevelt Johnson, Ronald Laster, Hearlon Martin, Tiger Martin, Cynthia D Moore, Jimmy Lee Moore, George Nealy II,... up to 43 musicians. Hector Andrade, Patti Austin, Roland Bautista, Steve Baxter, Max Bennett, Brad Bobo, Garnett Brown, Larry Carlton, Leon Ndugu Chancler, Randy Crawford, Rafael Cruz, Paulinho Da Costa, Eddie Davis, Jimmy Earl, Wilton Felder, Barry Finnerty, Michael Finnerty, Reichii Guillory, Bobby Haynes, Adam Henderson, Wayne Henderson, Stix Hooper, Alphonso Johnson, Tim Landers, Nils Landgren,... up to 44 musicians. Maggie Bell, Eric Burdon, Billy Burnette, Boz Burrell, Wayne Carson, Roger Chapman, Mel Collins, Kiki Dee, Donnie Fritts, John Halsey, Roger Hawkins, Bernie Holland, David Hood, Wayne Jackson, Kris Kristofferson, Henry McCullough, Mitch Mitchell, Spooner Oldham, Poli Palmer, Mike Patto, Dan Penn, Mick Ralphs, Brian Robertson, Julio Segovia, Bobby Tench,... up to 26 musicians. Disclaimer: I don´t own or upload any of the videos linked here. I just include links to live videos that are already available, in order to show the work of this musician. Anyway, if someone feels that some link shouldn't be included, please write me at the email address shown below. 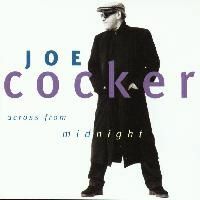 And if you know of more videos featuring Joe Cocker, please, also write me with the link. Featuring: Doreen Chanter, Joe Cocker, Deric Dyer, Phil Grande, Maxine Green, Steve Holley, Jeff Levine, Chris Stainton, T M Stevens. 1 more guitarist (I think) unknown to me. Featuring: Doreen Chanter, Joe Cocker, Deric Dyer, Phil Grande, Maxine Green, Steve Holley, Jeff Levine, Chris Stainton, T M Stevens. Additional guitarist unknown to me. From the 1990 tribute concert. Joe Cocker with Chris Stainton and the house band. 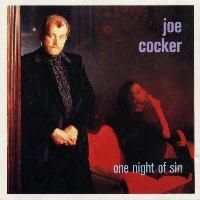 Featuring: Andy Caine, Joe Cocker, Anne Dudley, Dave Edmunds, John Giblin, The Kick Horns, Jody Linscott, Sylvia Mason-James, Gavin Povey, Tim Renwick, Juliet Roberts, Don Snow, Chris Stainton, Terry Williams. Featuring: Jack Bruno, Doreen Chanter, Joe Cocker, Deric Dyer, Warren McRae, John Miles, Maxine Sharp, Chris Stainton, Laurie Wisefield. John Pearson: for very interesting facts about Joe Cocker early days (2008 & 2014). Dylan Thomas: for info on the Harry Beckett session for Joe Cocker (2012).